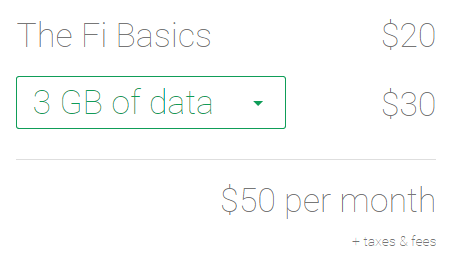 //	What’s the appeal of Google Project Fi when Straight Talk has a true Unlimited plan at just $55? What’s the appeal of Google Project Fi when Straight Talk has a true Unlimited plan at just $55? Most Android enthusiasts must have heard about Google Project Fi. However, hearing about and actually using Project Fi are two different things. Also, the fact that Fi only exists within the confines of Google means that there are definitely many others who haven’t taken their time to dig deeper into what the MVNO offers. As mentioned, this is an MVNO and like Straight Talk, it doesn’t have its own infrastructure, rather, it relies on what has already been laid down by T-Mobile, Sprint and U.S. Cellular. Straight Talk, on the other hand, relies on infrastructure laid down by all big four carriers, including Verizon Wireless and AT&T. If anything, the ability to work on all four carriers gives Straight Talk wider coverage compared to Fi, but does this make it a better option? MVNOs are exactly what those people who don’t like contracts should be looking at. Both Google Project Fi and Straight Talk don’t tie you to long term contracts like with the cases of other major carriers, rather, you can walk out of the contract at any time. Google Project Fi tries to simplify things in the best way possible. All you have to do is pay $20 per month for unlimited phone calls and SMS and an extra $10 per month for 1GB data, but keep in mind that this is a flat rate. At the beginning of each billing cycle, you can choose to pay the flat rate or maybe more depending on your estimated usage. If you happen to use more than what you’ve paid, Fi will bill you the extra fee at the said flat rate of $10/GB. If you use less, the upcoming bill will be charged less the equivalent of the unused data. As for Straight Talk, the lowest plan is valued at $35. For this, you get unlimited talk and text alongside 2GB of data. Unlike Google Project Fi that offers high-speed internet throughout the billing cycle, this plan on Straight Talk will drop to 2G speeds once the 2GB limit is reached. In fact, the story is the same for other plans offered apart from the true unlimited plan that costs $55 per month, offering high-speed internet throughout the billing cycle. Other plans on Straight Talk include $45 per month, where you get high-speed internet for the first 10GB and after that it’s 2G for the rest of the month and $60 per month, earning you the same package as the former, only that it works internationally as well. From the look of things, one would be quick to jump to Straight Talk as the better option here, but there’s more to Google Project Fi as well. While Straight Talk can fit any person’s bill, Fi isn’t for everyone. In order to enjoy Fi and all the benefits of savings, you need not to be a heavy internet user. Also, Fi fits well with people who travel a lot internationally, but as we’ve seen, Straight Talk also comes with a package for international use. One thing that Google Project Fi has and Straight Talk lacks is the ability to seamlessly switch between the three supported carriers as well as Wi-Fi hotspots. This is what makes Fi the best, especially since the feature helps you save a lot by constantly switching to Wi-Fi hotspots instead of using mobile data. If you are the person who spends most of your time in Wi-Fi zones, Fi is just what you need. Fi also gives you access to some of the best Google Voice and Hangouts features, something you won’t be able to enjoy when using Straight Talk. A major downside of Google Project Fi that is perhaps the best part of using Straight Talk is that the former is limited to a handful of smartphones offered by Google. These include the Nexus 6, Nexus 6P, Nexus 5X, the Pixels and Moto X4 Android One. On the contrary, Straight Talk works with all unlocked GSM and CDMA phones and to make it even better, you can bring your own phone to the platform. The carrier also offers a wide variety of phones to choose from, with plans starting as low as $12 per month. The name Project Fi explains the attraction. While Fi uses the T-mobile, Sprint and U.S. Cellular networks for voice, text and data, it only does so when Wi-Fi is not available. Most folks have access to Wi-Fi at home and in the office. Around here there is free Wi-Fi in the hospitals, doctors offices, most coffee shops and even at the Department of Motor Vehicles (where I had to spend four hours last fall). Google has over a million Wi-Fi hotspots and many of us have access to millions more through our ISPs. My ISP is Comcast (Xfinity) and they have thousands of hotspots here in Hartford. I use about 10 GB per month and usually pay for less than 100 MB (one dollar). So far this cycle I have used 7.45 GB of free (or already paid for) Wi-Fi and less than 9 MB of mobile data (9 cents worth). Generally the Wi-Fi connections are much faster than the mobile networks. Some of us don’t use enough data to need limited. I’m on Wi-Fi most of the time, so my Fi phone bill is usually around $35. I’ll take that rather than $55. Project Fi was terrible. Not everyone is glued to wifi and when you travel with project Fi… forget about reliable internet.